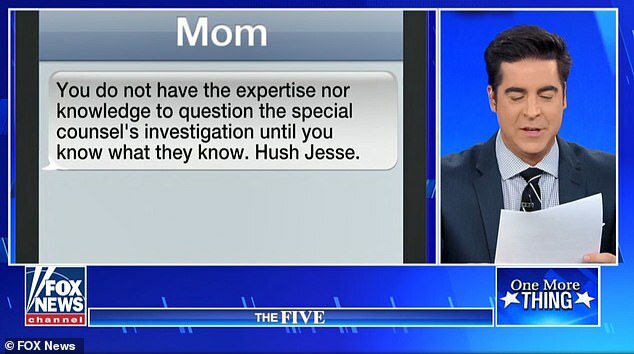 Fox News presenter Jesse Watters read a text out loud from his mother on-air in which she urged him not to take the job of Donald Trump’s chief of staff if the president offered it. 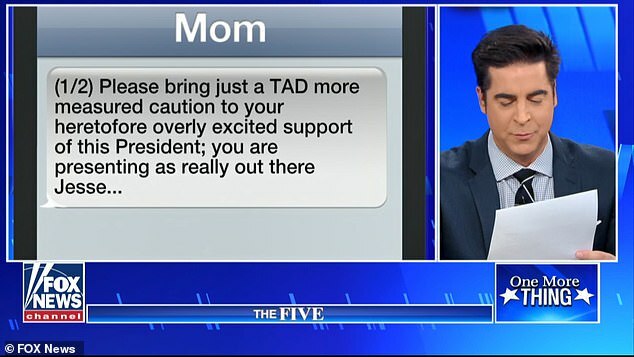 Watters broadcast her advice of ‘DO NOT accept an offer to be Chief of Staff’ on the news channel during an segment called ‘Mom Texts’ in which he reads messages that have been sent to him by his liberal-leaning mother, Anne Watters. Several people have reportedly turned down the offer to become the next White House Chief of Staff replacing John Kelly. Former New Jersey Governor Chris Christie, Representative Mark Meadows and Nick Ayers, the current chief of staff to Vice President Mike Pence have all declined the opportunity to replace Kelly. 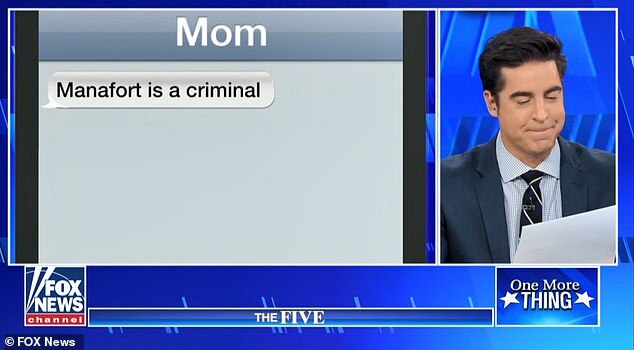 During the show hosted by the Watters, a conservative political commentator, he read a number of text messages sent to him by his mom that were said to be ‘piling up fast’. 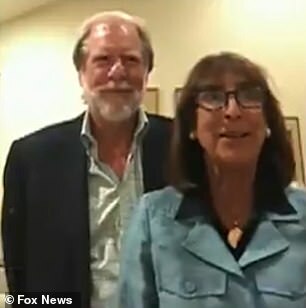 The first text read: ‘Pau] Manafort is a criminal,’ after Robert Mueller said Trump’s former campaign chairman had lied to the special counsel’s office during the Russia investigation, after Manafort had previously been found guilty on eight felony fraud charges. 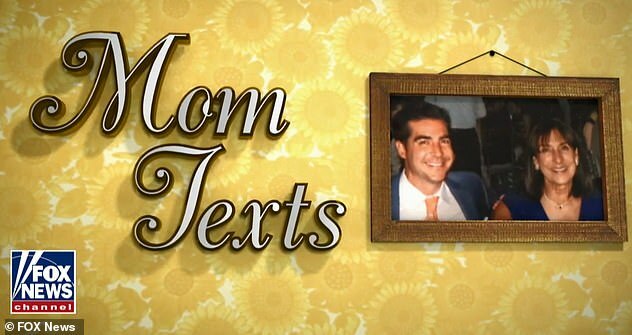 ‘Short and sweet, Mom,’ Watters said about the text. 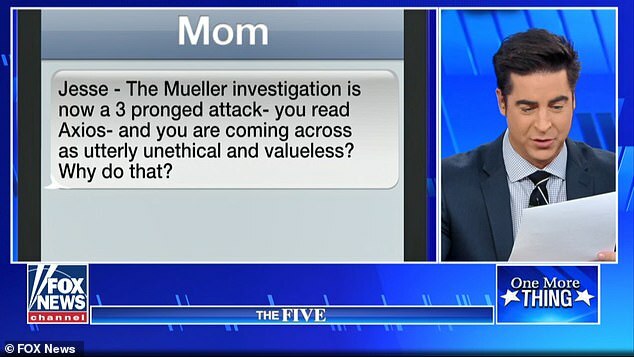 In the another text, Watters’s mother wrote: ‘Jesse, the Mueller investigation is now a 3 pronged attack—you read Axios—and you are coming across as utterly unethical and valueless? Why do that? 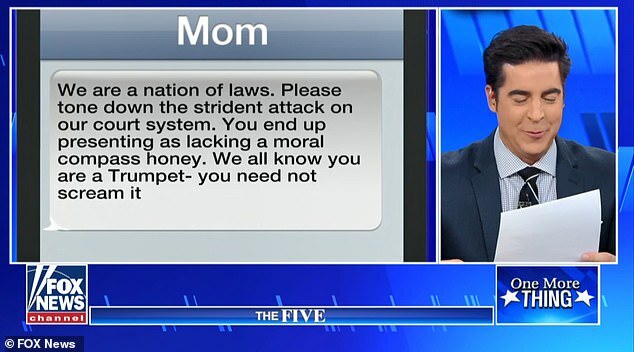 In further messages Watters reminded her son ‘we are a nation of laws’ and asked him to ‘tone down the strident attack on our court system. 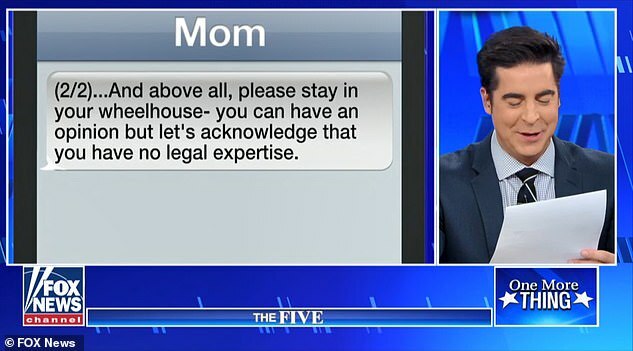 Anne’s Motherly advice often appears on Watters’ Mom Texts segment. 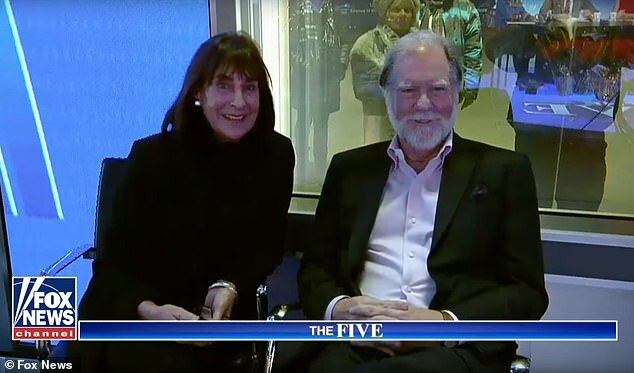 ‘Any political arena is fraught with name calling, as well as wretched accusations by all sorts of players, but not by the president of the United States. ‘To normalize his behavior [of] calling a woman ‘horseface’ demeans you and makes you appear crass, and quite awful and misogynistic,’ she wrote, reported the blog Fox News Insider.